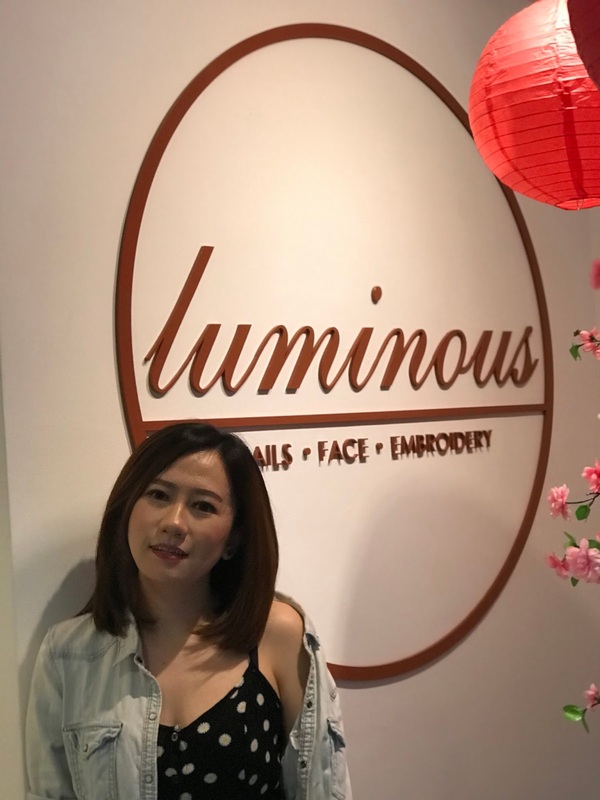 Last month I visited Luminous Beauty Parlour at Arkadia, Desa Park City. 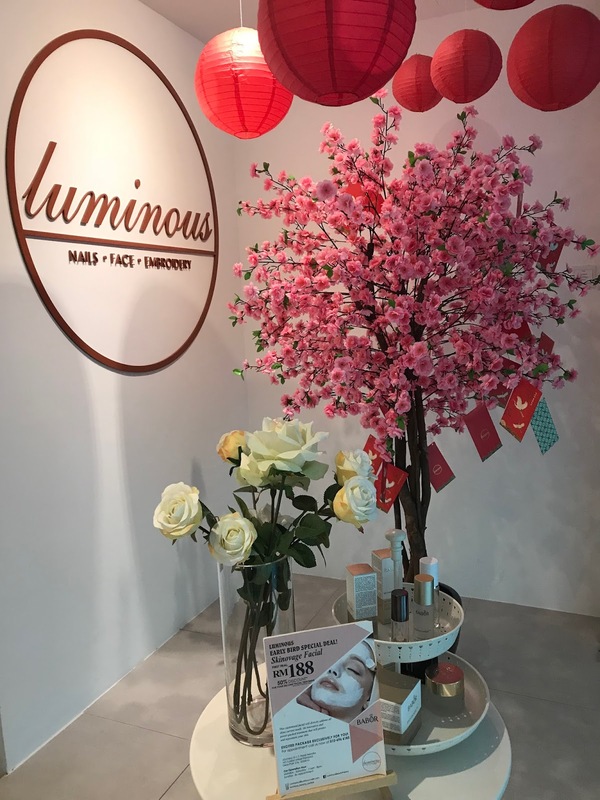 Luminous Beauty Parlour takes pride in aiming to be the ultimate stop for everyone who need the beauty care services. 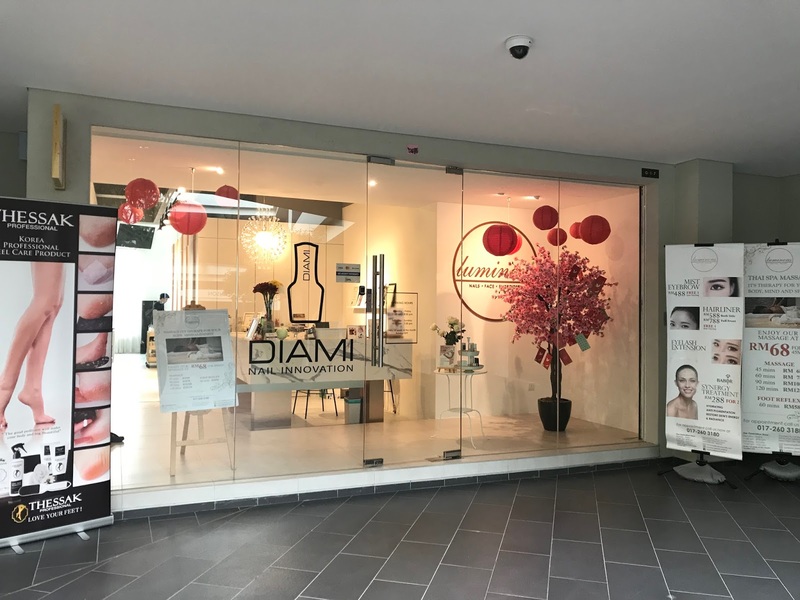 They provide services such as nails, facials, spa massage and embroidery. 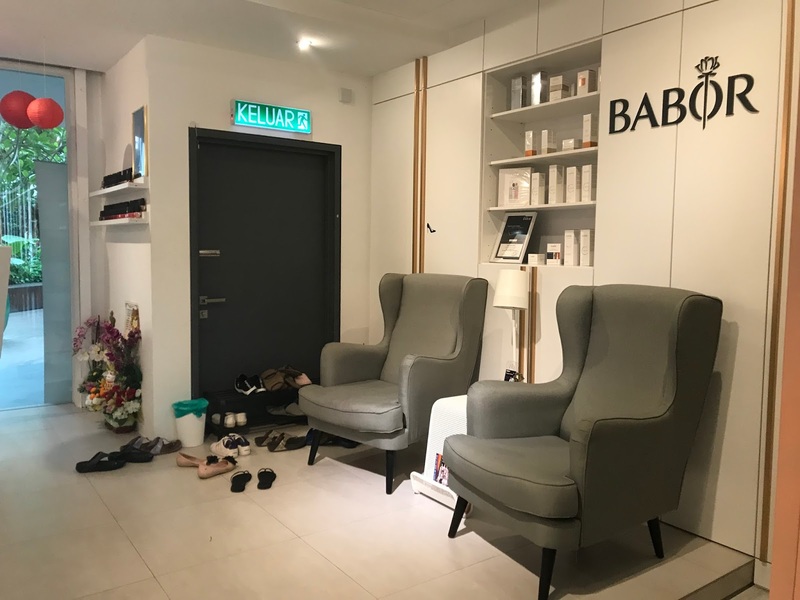 In line with Luminous tagline “irreplaceable human touch” you can be assured of professional care and services catered to your needs by skilled and experienced therapist. They understand that women need to look beautiful, groomed, youthful and presentable. The provided services are in lieu with their mission to do just that. Upon arriving to Luminous, the beautiful interior will be the first to catch your eyes. 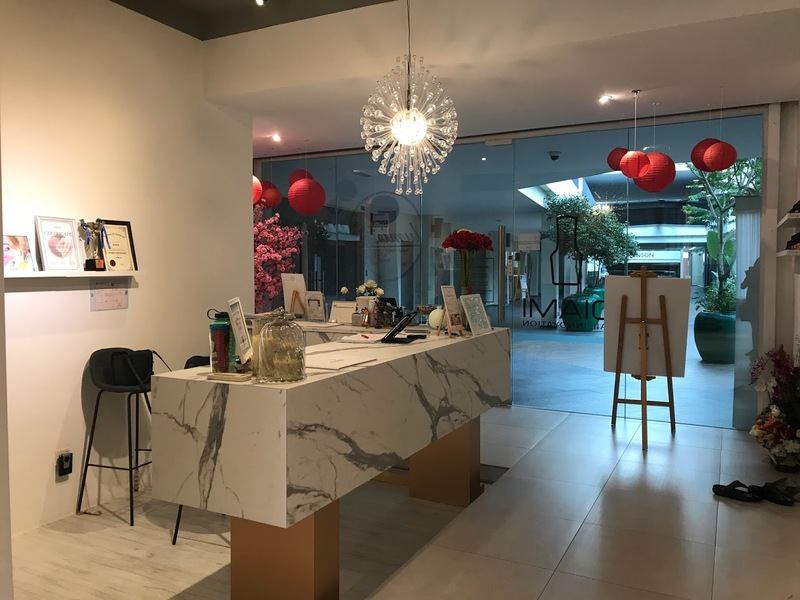 Comfortable and welcoming, their elegant white marble interior design made me feel like home. 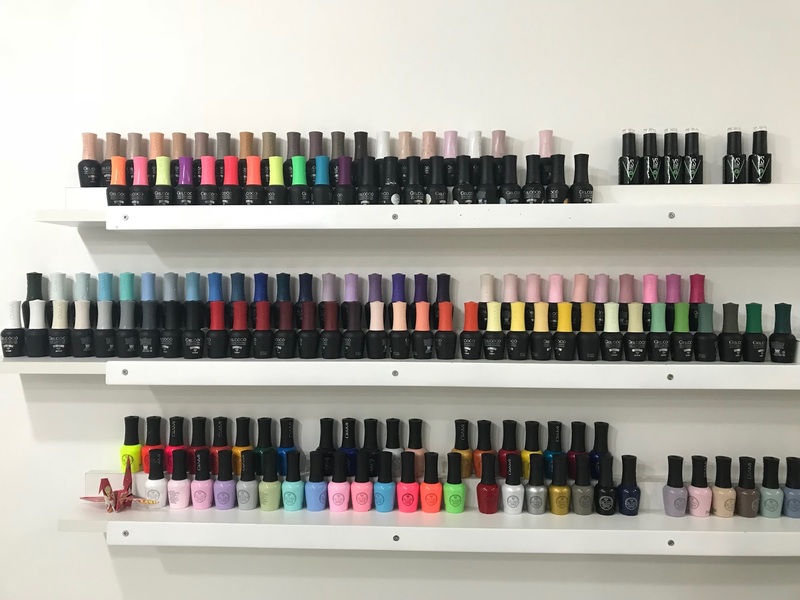 Look at the variety of gorgeous nail colors on the rack. Oh dear, there're so many colors I wanted to paint on my nails. Haha! Ok, let ask my manicurist which color is trending lately. 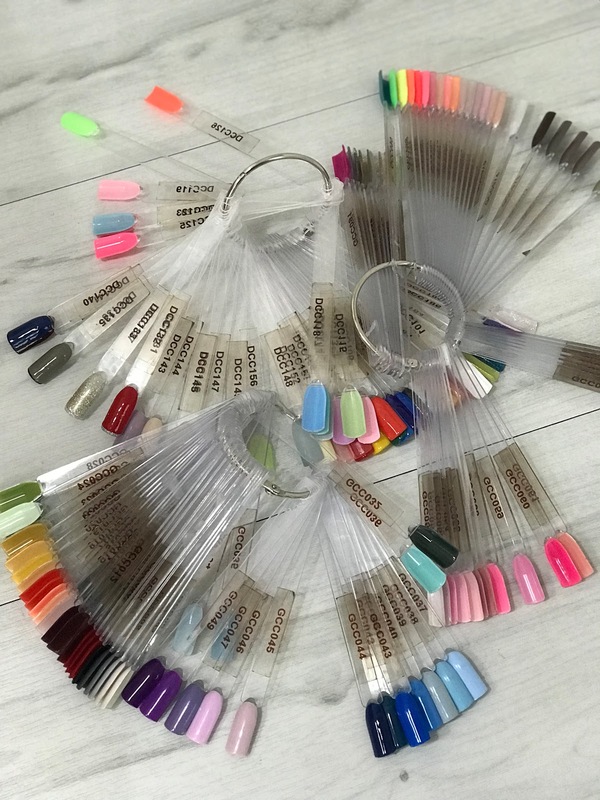 Do you know how does the gel nail manicure work? 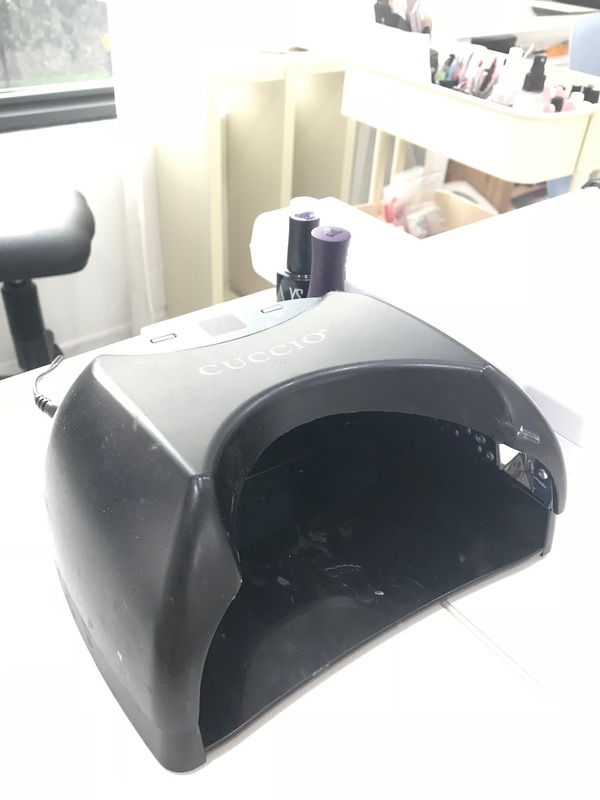 Everyone well know of gel nail as it is quite common and convenient for a quick and dry services treatment. Just like a regular manicure, cuticles are pushed back and nails are filed. Nails are also buffed, so the gel adheres are stonger. Next, a coat of gel “polish” applied to each nail, with 30 seconds of drying time under UV Light. Then a second coat will be applied and then allowed to dry again for 30 seconds. At the end of the purple gel manicure, I am amazed that my nails are dried and shiny. 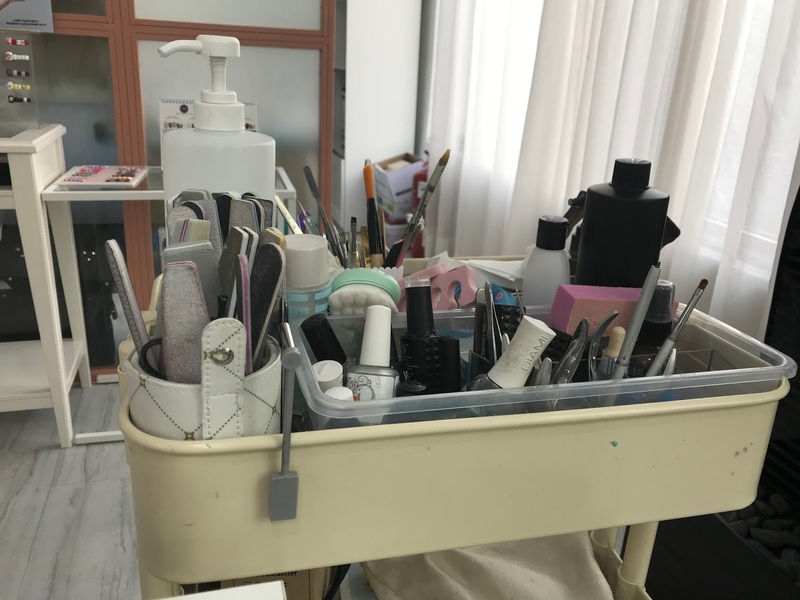 All the manicurist are professional. Maximum relaxation is guaranteed. 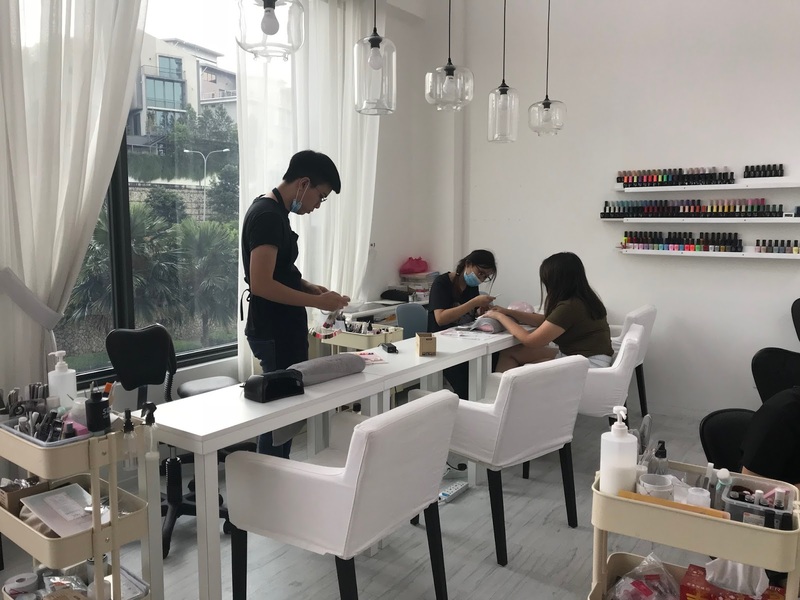 They are also very meticulous with their work and I don't have any problem with my manicure. My gel nail never failed to last more than a week without chipping even I am pretty rough with my hands. Trust me, you will only receive top notch treatment here.